It is amazing that 2011 is finally here. Vu and I felt blessed for these past 365 days filled with so many great memories, meeting new friends, seeing old ones, spending time with families, and getting the chance to do what we love. Although we do not believe in New Year’s resolutions, we both believe in having a healthy lifestyle, eating a lot more fruits, vegetables, and home cooked meals. To start off my first post for 2011, I would like to introduce you to one of my favorite tropical fruits, “mang cut” or mangosteens. I fell in love with mangosteens ever since I could eat solid food. Not many people are familiar with this tropical jewel. With a hard purple shell on the outside, it does not look appealing, but when you break the fruit opened, your taste buds are introduced to a balance of sweetness and tart. The texture is refreshing and unlike any other fruits that you would be familiar with. Being an ultratropical fruit, mangosteens are not widely available in the US. 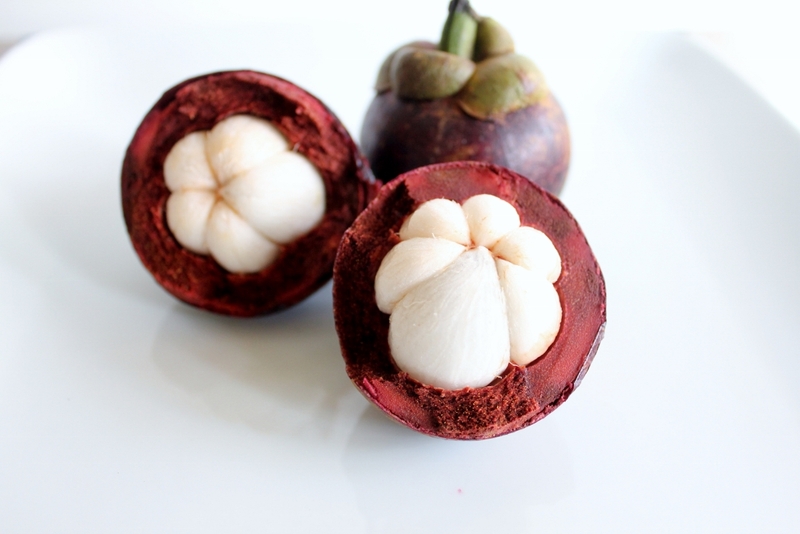 I was lucky enough to find mangosteens at my local Vietnamese supermarket, Thuan Phat, in Linda Vista. You will likely find supermarkets in Orange County, the bay area, and Seattle that carry this tropical jewel. Nowadays, you can get them for $6.99 per pound, but my taste buds are never satisfied with one pound and I usually end up eating three or four. 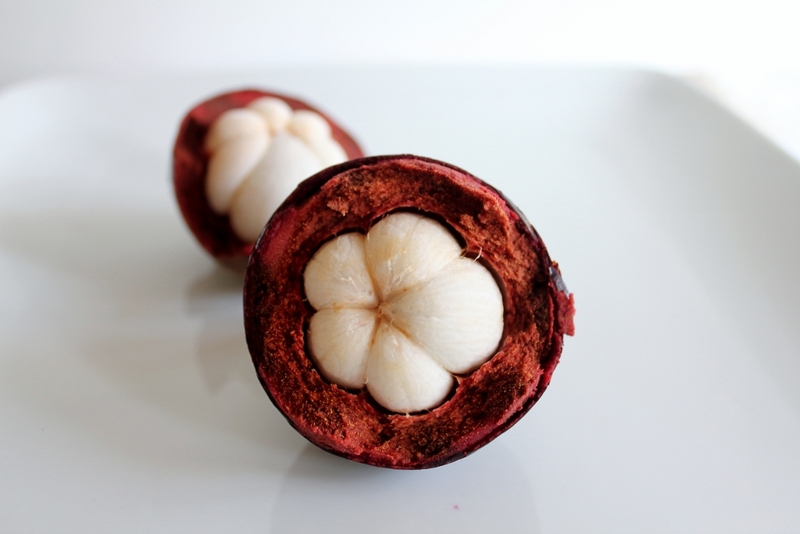 Now that you have been introduced to mangosteens, I hope you get the chance to taste them. We look forward to another great year and more opportunities to share our culture and kitchen adventures with all of you. 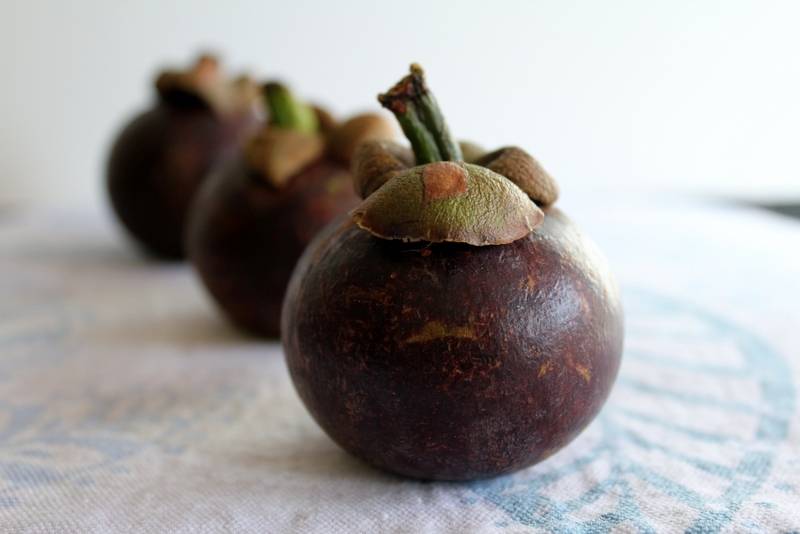 Ripe mangosteens are soft to light touch. Do not squeeze them too hard or you will damage the flesh. 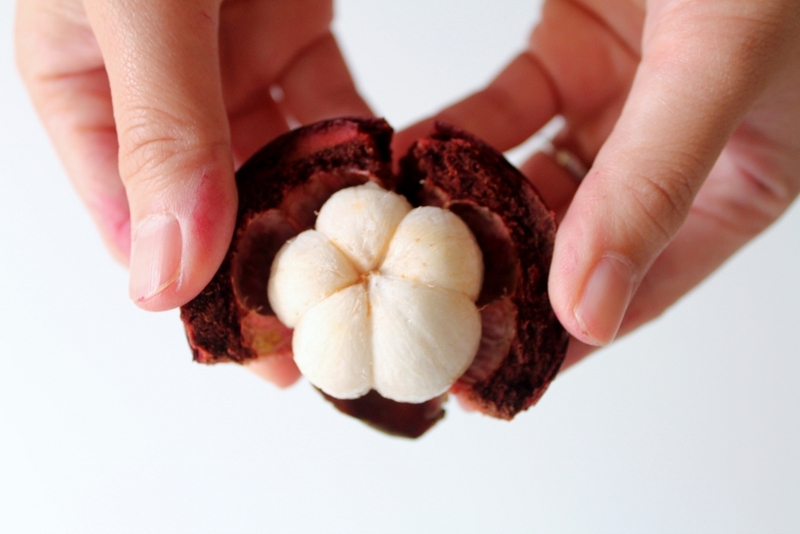 To open a mangosteen, make a horizontal cut from west to east then use your fingers to pry the halves apart. Continue breaking away the shell and enjoy!